Only a select very few of estimated 8-million eager vacationers who stream into smiling Hawaii annually will experience the ultimate luxury, living in the billionaires-only Kohanaiki Club. And Kohanaiki traces its deluxe history all the way from being the playground of Kamehameha the Great in the 18th century. As such it comes with sacred artifacts, evergreen luxury golf courses, intense lava flows and plush ponds. To get to the real magnitude of the invitation-only ballers club, let’s crunch some figures. Firstly the annual membership fees stands at $ 25,000! And this is in addition to the $150,000 one-time joining fee into the elite club. The members of this elite club are a cultured and well-traveled lot with a rich history with high-class private clubs. These members include top athletes, entrepreneurs and all other top celebs lucky enough to win themselves the immensely rare invitations. We hereby help take you on a tour through the 450-acre waterfront hosting the elites of the society. Take a look at these amazing photos and you will be filled with envy for these billionaire well-offs. The lavish club is surrounded by amazing sights of white sand and turquoise waters. 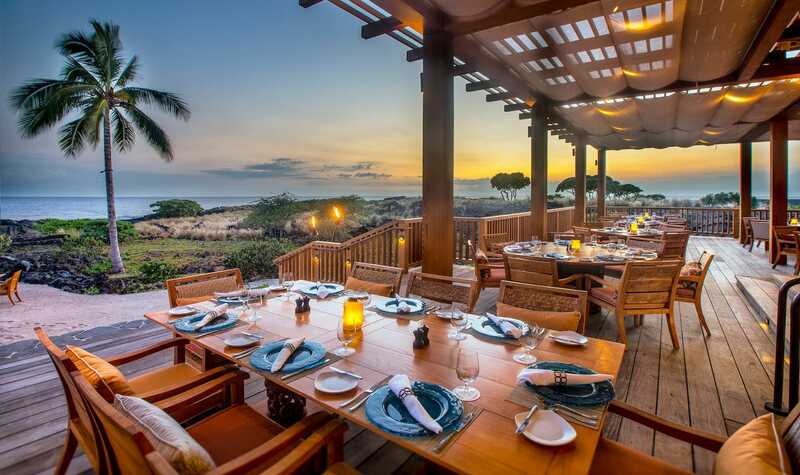 This expansive oceanfront therefore offers quiet and refreshing views of nature’s best allures. The Big Island, with varying topography, also comes with intensely satisfying adventure choices and astonishing sights. Most importantly ,watch as the lava from Kilauea Volcano flows gently into the blue waters of the Pacific. This is most obviously a draw for the luxury vacationers at Hawaii’s home to the most exquisite golf course. Billionaire ballers get to train the swing alongsidetrue players of the extravagant open-air-course sport. All these as they inhale the fresh of the Kohanaiki countryside. The guests are taken on exciting adventures like surfing, snorkeling, scuba diving and even hiking alongside Kohanaiki’s elite A-Team. The range of fun-filled activities with the best trained company around will delight you. The equipment available is furthermore only the very best and well worth the status of the lavish beachside. We told you this is an exclusive club! But did we forget to mention it is also a real estate hub for the select few? Well the high-classers have the options of either purchasing luxury housing in the 450-acre expanse or even building their own. Currently the homeowners stand at over 140, with an upper limit of just 380 owners. ….And what do you say about the Hinahina residences? The exquisite piece of work has 2400 sq feet of space inside. The balcony view and the poolside are an absolute joy to say the least. The fairytale poolside views are at the Kohanaiki homes are an outright magic. The fully stocked outstanding deck serves as the perfect option for winding down as we approach dusk. Champagne anybody!? The furnishing, despite being immaculate and classily modern, still preserves the distinct Hawaiian vibe. The houses have white interior decors that scream luxury. The outdoor showers shower you with freedom in an exquisite ambiance. You probably won’t want to miss the refreshing feel of the open-air bath experience at a place where your privacy is always a guarantee. The homes in the luxurious Kahanaiki club are as tailor-made for all your desires. You won’t need to carry any essentials along in order to feel at home except yourself. Who wants to carry so much luggage going out on a vacation anyway? Kohanaiki’s expanse of of empty lands means enough space for those who want their own homes built from the ground up. As long as you agree with the set design guides of Kohanaiki club, then you are good to go. Construction of the 67,000 Sq. feet clubhouse with top-class communal amenities was only recently finished at Kohanaiki. The key highlights in the top-dollar clubhouse are a steakhouse and a sushi bar by the famous Chef Heymann Patrick. The green well-kept surroundings are especially worth noting. 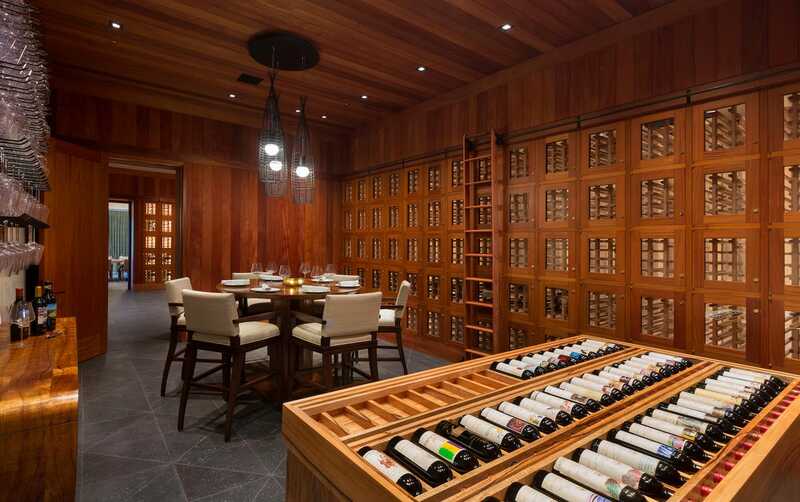 One top amenity in the clubhouse is the vast modern-style winery with a wine cellar hosting some of the world’s finest, oldest and most prized bottles. A wine tasting event is hosted inside the Kohanaiki wineries with a host of top-class craftsmen displaying the very best of their crafts. The cellars are kept in handsome brown-themed rooms reflecting the richness of the tastes therein. The experienced Tracy Lee of the TLee Spas was charged with the task of designing the spas. And boy, she never disappoints; the spa treatments in the clubhouse are an experience that cannot be described. You are as a result gently soothed while lazing on the pristine massage tables. Kohanaiki’s rec room is fully equipped with the best game equipment around. Most notable are shuffleboards, pool tables and a fully stocked bar. The perfect location to pass time with like minds. Almost every of your entertainment needs are sorted by the well-furnished Kohanaiki clubhouse. The 21-seat movie house is so spaced out that you will feel like you are in the comforts of your homes as you experience what the blockbusters the world has to show. High-grade graphics are a further guarantee that your movie experience will be nothing short of remarkable. A spacious four-lane alley also guarantees fun times with your boys as your throw balls down the alley paths. The interior settings and lighting are absolutely outstanding. This poker den so much feels like Casino Royale. Yes, the James Bond’s Casino Royale. You get to test your casino skills while you smolder your expensive cigars and chat endlessly. Money may change hands here – but who cares? You could moreover decide to keep your cardio in check at the yoga and fitness studios down at the clubhouse pool. Nothing beats the feat of keeping the heart surgeon off your yard! If you won’t be able to get the rare invite into this once in a lifetime billionaire’s paradise, then we hope you at least are allowed a tour of the 450-acre playground.